Το IBIS Styles Bogor Raya, στην περιοχή Σουκαραζα σε Μπογκόρ, αποτελεί δημοφιλή επιλογή για τους ταξιδιώτες. Μόνο 5 km από το κέντρο της πόλης, η στρατηγική θέση του ξενοδοχείου διασφαλίζει ότι οι επισκέπτες θα έχουν γρήγορη και εύκολη πρόσβαση σε πολλά από τα τοπικά σημεία ενδιαφέροντος. Από τη βολική της τοποθεσία, η ιδιοκτησία προσφέρει εύκολη πρόσβαση σε κορυφαίους προορισμούς της πόλης. 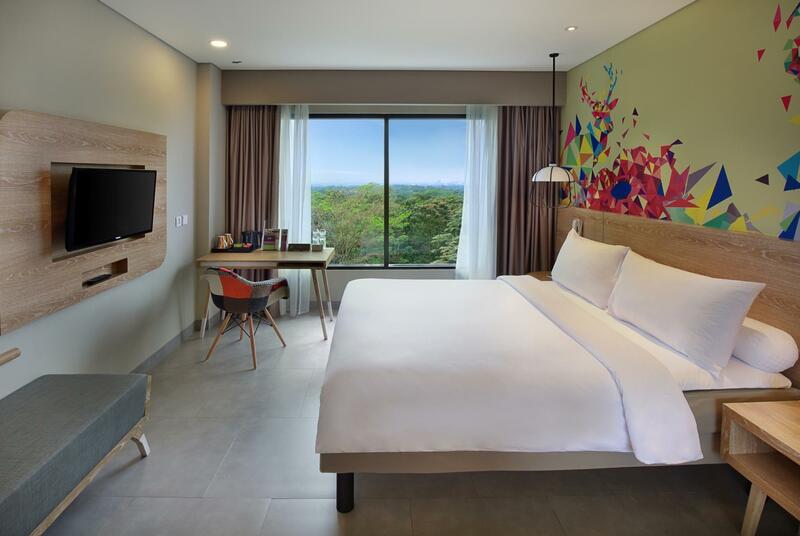 Το IBIS Styles Bogor Raya προσφέρει επίσης πολλές εγκαταστάσεις για να εμπλουτίσετε την διαμονή σας στη Μπογκόρ. Το ξενοδοχείο σας προσφέρει μια μεγάλη επιλογή υπηρεσιών, συμπεριλαμβανομένων των 24ωρη υπηρεσία δωματίου, δωρεάν WiFi σε όλα τα δωμάτια, 24ωρη φύλαξη, ημερήσιος καθαρισμός, υπηρεσία ταξί. Απολαύστε ανέσεις υψηλών προδιαγραφών κατά τη διαμονή σας. Ορισμένα δωμάτια περιλαμβάνουν επίπεδη τηλεόραση, μοκέτα, κρεμάστρα ρούχων, δωρεάν καφές φίλτρου, δωρεάν τσάι - ό,τι πρέπει για να αναζωογονηθείτε μετά από μια γεμάτη μέρα. Εξάλλου, το ξενοδοχείο διοργανώνει πολλά ψυχαγωγικά δρώμενα έτσι ώστε να έχετε πολλά πράγματα να κάνετε κατά τη διαμονή σας. Όταν ψάχνετε για ένα άνετο και βολικό μέρος για να μείνετε στη Μπογκόρ,το IBIS Styles Bogor Raya γίνεται το σπίτι σας μακριά από το σπίτι σας. location is good in quiet area. close to city area. we booked family room which is big enough for four of us. there are 2 television, separate shower and toilet, good water pressure. we got room 906 that has beautiful view to golf area. the hotel provide bike for free, so we can biking around the hotel area and neighbourhood. the swimming pool is small. breakfast tasty. I like this hotel. 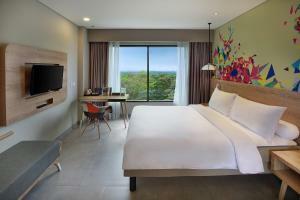 I stayed at Ibis Style Bogor with my family, we booked 2 rooms. 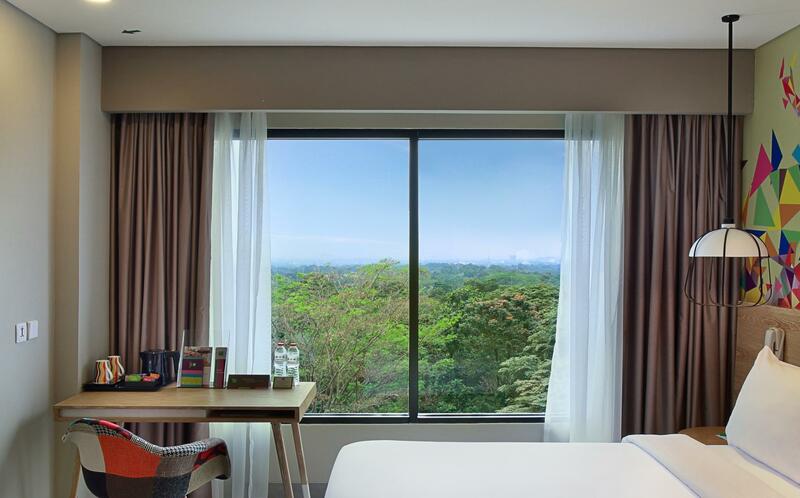 The location of this hotel is at a real estate complex, so peaceful, suitable for a weekend getaway. Parking area is quite huge, we can choose either outdoor or in the basement, but the basement area has quite limited spaces, but more convenient as we can get directly to our room with our access card. Breakfast is quite good, many varieties with good taste. had my vacation with wife and my children. We love the place. The food was delicious, with various facilities for kid activities (e.g: pool, bicycle. children playground) and also exclusive access to Novotel kid activities. The environment and scenery also marvelous, quite and calm. Really good for escaping from routine. Well done, Ibis...!!! We are a couple celebrating our anniversary for a weekend away from the hustle and bustle of Jakarta. The hotel is located next to Novotel, and they provide free buggy ride to enjoy all the facilities in the hotel next door which was great. The only downside is that it seemed like the staff did not pay attention to the request we made on our reservation. the hotel is in a very stratigic place. lots of cafes nearby. you can take a golfcart to novotel and feed the rabbits. the rooms are clean but a king size wasnt avalible. we slept on a queen with a two year old in the middle. it was hard to sleep.bthe food wqs medoker. breakfast and dinner buffet. I was going to swim, there were bunch of kitchen staff coming to the pool and they swung one of their friends to the swimming pool with a complete uniform and shoes. and they did it again two times after the first one. I immediately cancel my intention to swim. Love this hotel. Spacious with larger single bed than usual. Responsive staffs. Various bfast menu. Clean pool. Cold AC. Everything i need. Definitely will come back and recommend to family and friends. Exceeding the 3 star accorded to the Hotel. Hotel is new, clean and even though room is not that big, it is cosy, comfortably laid out and bed are superb for me. The only issue to others probably is the location which is out of Bogor town (10 to 20 min drive) if you want to enjoy a night out for food etc. hotel terbantu karena masih baru.. kebersihan masih harus ditingkatkan, karena kamu memasuki kamar dengan kondisi tempat sampah disamping wastafel masih kotor, tapi staff segera tanggap dan membersihkan. menu sarapan perlu ditingkatkan variasi dan citarasanya. 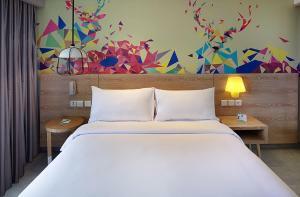 I book Family room, and amazed with the spacious room with nice design. Comfort with me and my family (2 baby kids). Facilities is not too satisfied but this hotel was share with Novotel (you can able to use Novotel facilities as well) One thing need to improved from this hotel is food varieties and the taste. affordable and comfy. just next to novotel. on saturday and sunday you can go to next door novotel to join their kids' activities such as horse riding, dancing competition, etc. get the golf view room if possible, it is not much more expensive but the view is worth it. good breakfast. free for 2 adults and 2 kids under 16. Hotel ini diatas ekspektasi awal saya. Biasanya saya menginap di Aston Bogor atau di R Rancamaya. 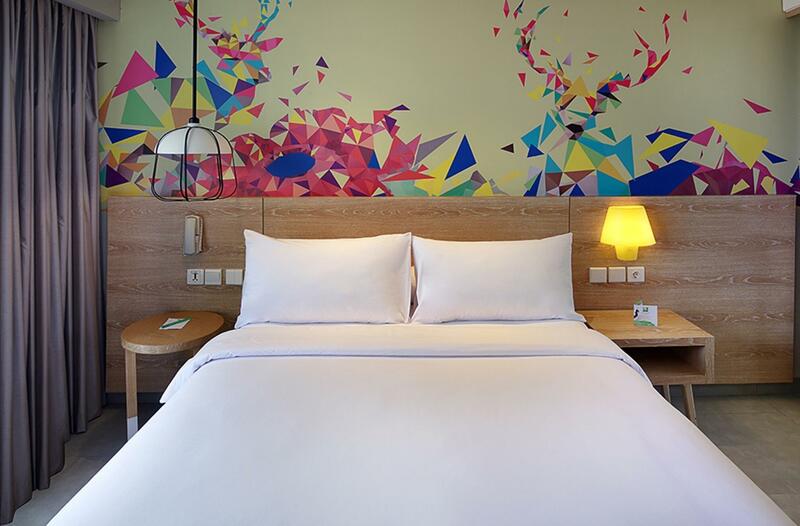 Saya iseng booking Ibis style mau coba family room nya dan ternyata memuaskan - kamar sangat lega - seperti ada dua kamar terpisah dalam satu ruangan. Breakfast pun dapat untuk 4 orang, dan makanan sangat bervariasi...jenis makanan malah lebih banyak dibanding hotel yang rate nya lebih mahal (Buffet Soto, sukiyaki, aneka wafel dan pancake). Para petugas yang melayani sangat tanggap, makanan habis langsung diisi (Saya stay waktu high season lebaran, dan hotel fully book). Kalau waiting list ketika breakfast, tamu dialihkan dulu ke ruang meeting dimana ada freeflow tea, coffee dan kue2. Kolam renangnya biasa saja, tdk bisa dibandingkan dengan hotel yang saya sebut diatas, tapi saya dapat info tamu bisa pakai fasilitas Novotel - yang terletak di sebelah ibis. Overall saya puas dengan hotel ini. Lain kali saya akan stay lagi di family room nya. Went with 3 kids and 1 maid. I like it the room is standard size, but it’s clean, building relatively new. Breakfast is good, located inside a residential area and there’s novotel hotel just beside it. There’s kid activities in novotel if you’re interested like cooking class etc. Modern & creatively arranged room. Breakfast is super excellent. No complaint at all except TV channels have no golf channels! Despite its near 'line-of-sight' to the highway, it actually takes at least 10 mins to access the highway because you to take a long 'U-turn'. kamarnya ok, cuma sayang shower di kamar saya air panasnya tidak nyala. 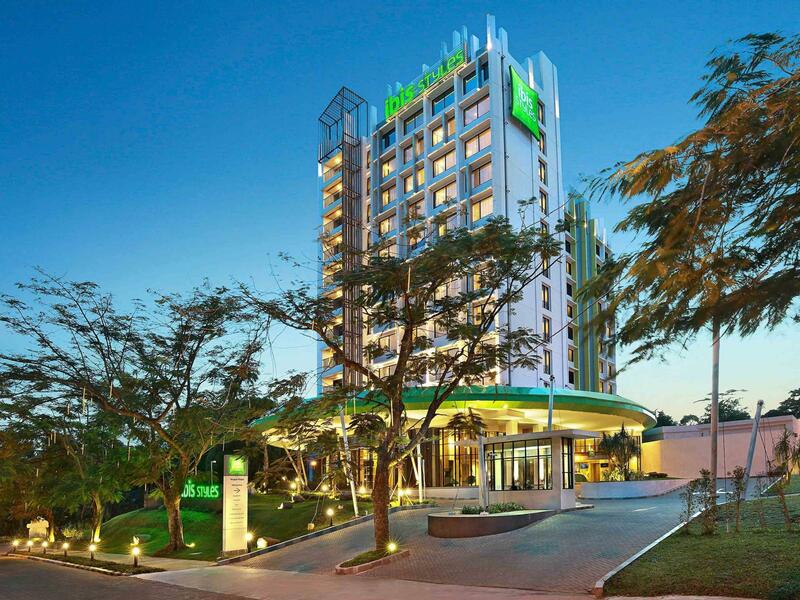 Hotelnya kecil, tp karena bisa ke novotel, jadinya anak2 bisa ikut acitivity disana. breakfast nya ok, cuma sayang baby chairnya sedikit sekali, 2x sarapan disana, ga kebagian baby chair sm skali. kata staffnya cm ada 5, tp aku hitung ga ada sampai 3, cuma ada 3 yang kelihatan sedangkan banyak sekali keluarga yang bawa baby dan anak2. 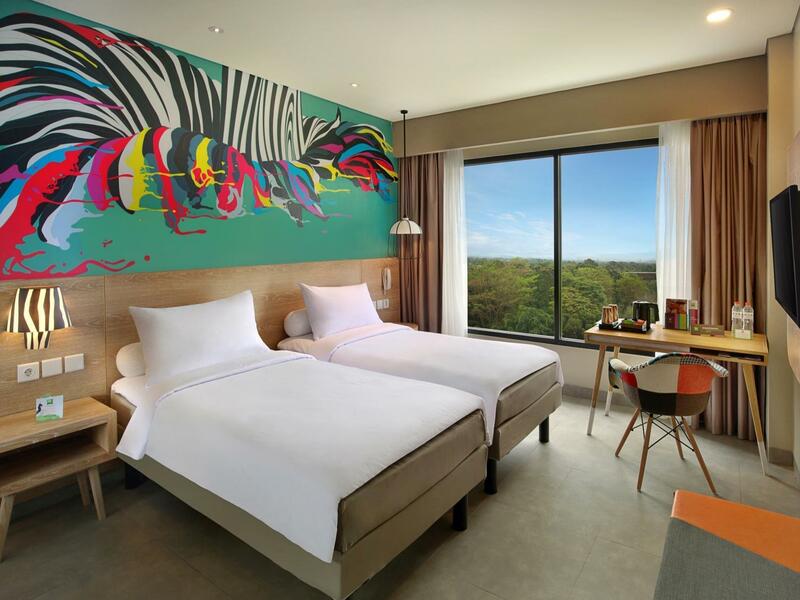 I Got great value and we enjoy our stayed in Ibis Bogor Raya, loves the rooms and pool, lovely and quiet environment, not too far to reach Bogor town . Nice room, Unfortunately can't try the rain shower as it is leaking from the top, although the maintenance offering to repair it, but we only stay for 1 night. Location a bit off from the town area but great for relaxing as in the middle of nowhere with golf course facility.